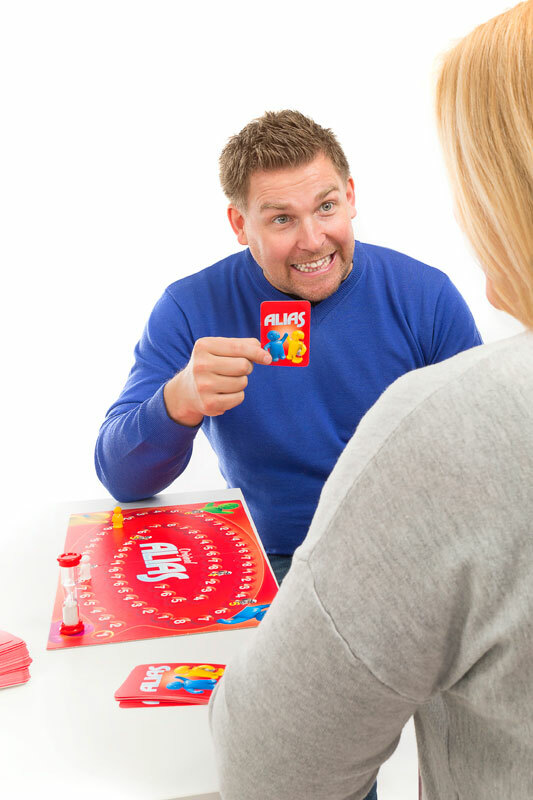 Pick a card, check the word, turn over the sandglass and start explaining – your partner tries to guess which word you are looking for. 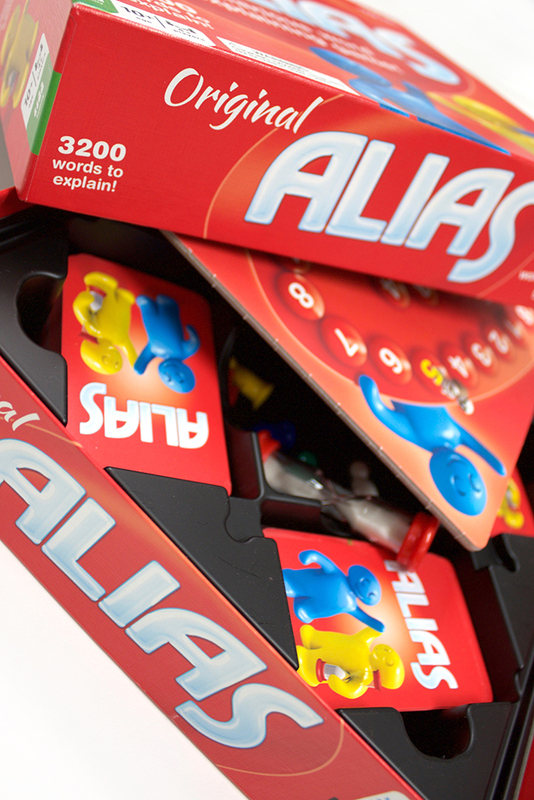 The idea of Alias is to explain as many words as possible to your teammates. 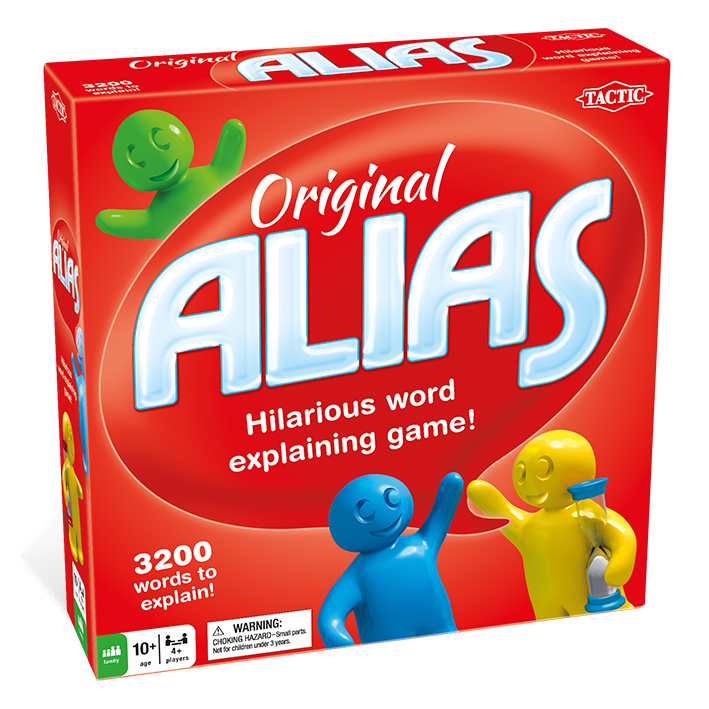 The more words they guess right, the further you get to move on the game board. 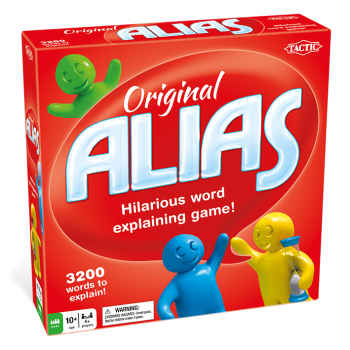 Original Alias contains words from every thinkable category and difficulty level! 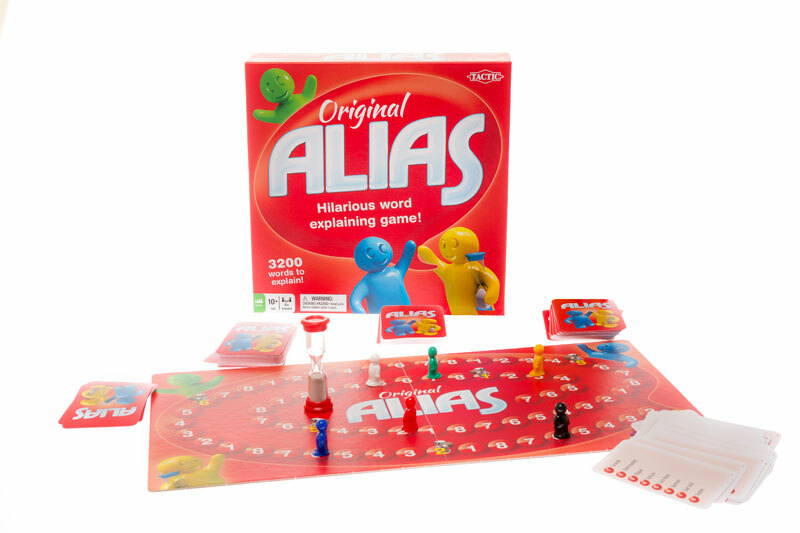 The hugely popular Alias game contains 3 200 words to explain and to guess, so the game will not be exhausted for a long time. Abundant word content from categories such as Objects and things, People and professions, Adjectives and Verbs. Also words from the world around us, sports and recreation, entertainment and culture etc. 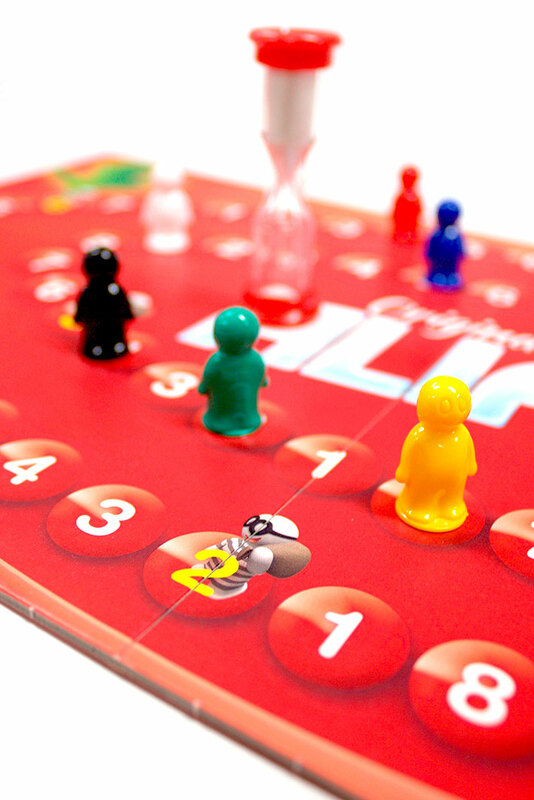 Content: Game Board, 400 Cards with 3200 Words to Explain, 6 Game Pieces, 1 Sand Timer and Rules.